From April to November, this beautiful castle is open to the public to share its beauty, its original architecture and beautiful gardens. Lots of activities are always organized but naturally, Spring and Fall stand out. 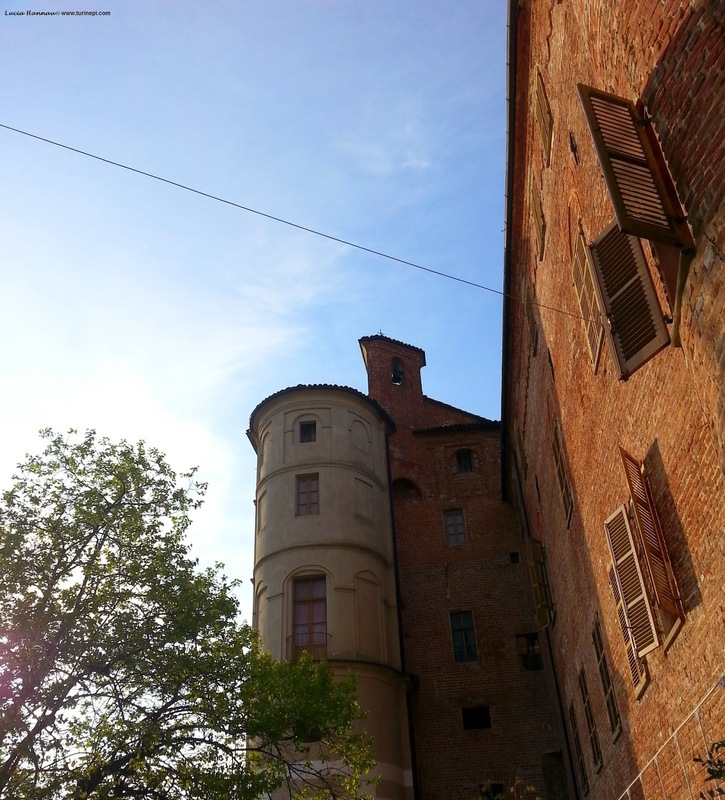 Being in Piedmont - the Italian Burgundy, it is easy to picture wine events and wine tastings in the Fall, after all Pralormo is a small municipality near the Langhe and Roero wine districts and the Unesco vineyards. But what about the spring? 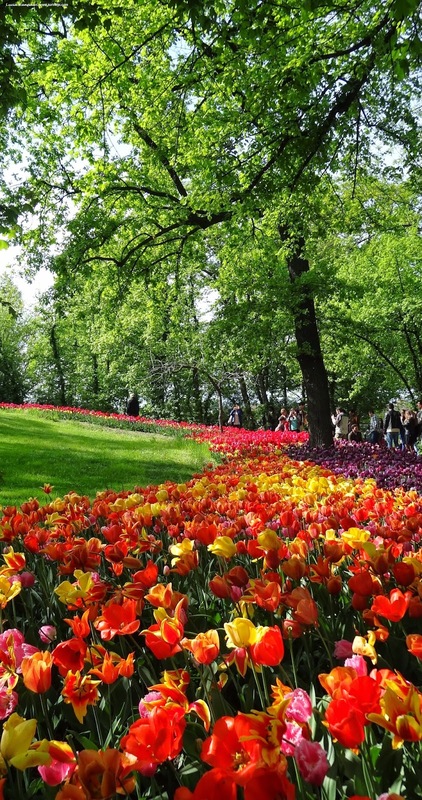 Every year, in April, for the tulip season the castle gardens show a colorful carpet of tulips of all sorts and types! A real symphony for the eyes of all the visitors who can enjoy a day back to the Baroque times. 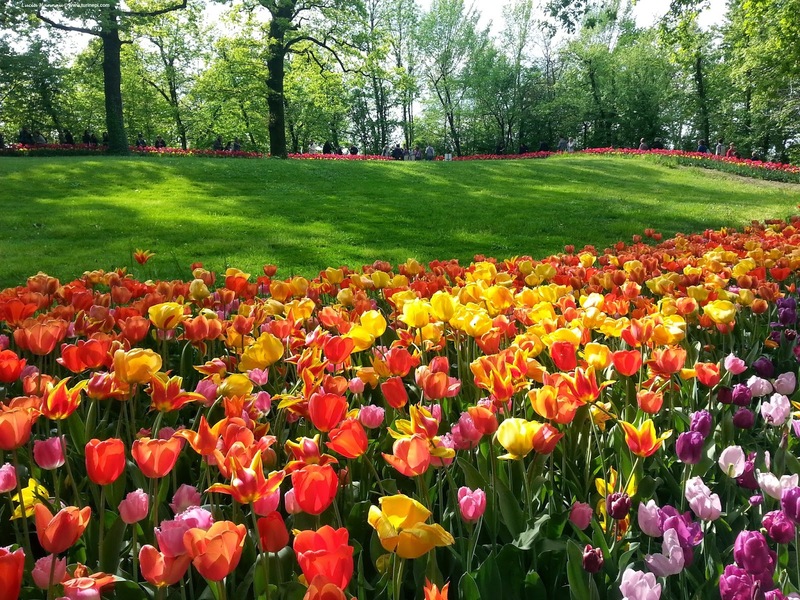 Common tulips, as well as more unusual ones, are planted and blossom during the whole month! There's even the Night Queen or the dark purple tulip! This year we decided to pay a visit to Messer Tulipano or Sir Tulip - the Pralormo tulip exhibit. 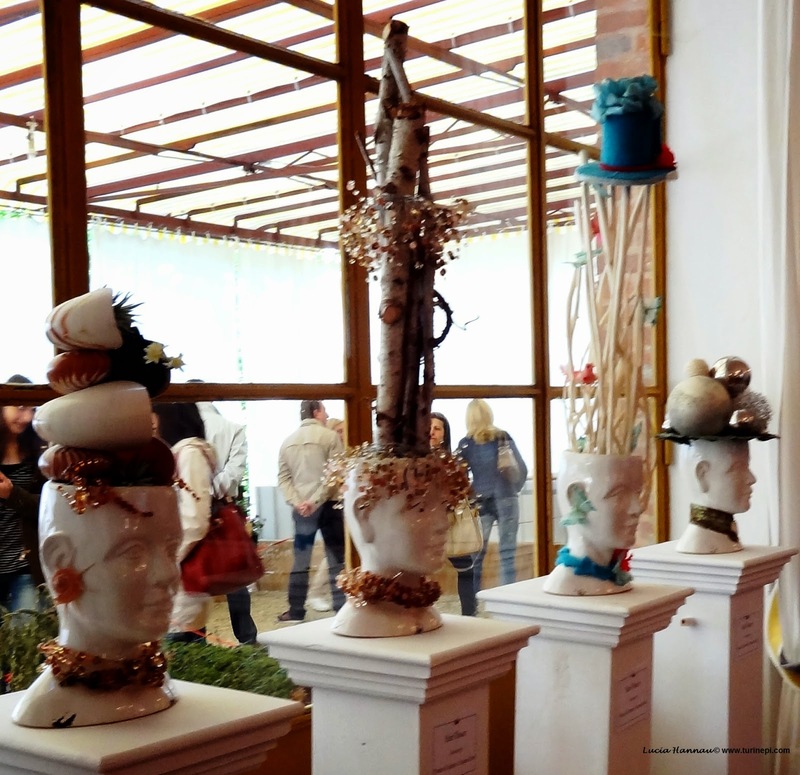 We happened to be there on the 80th anniversary of the Fiat 500 and the Food Couture exhibit organized by Walter Dang and 17 other fashion designers from Turin. 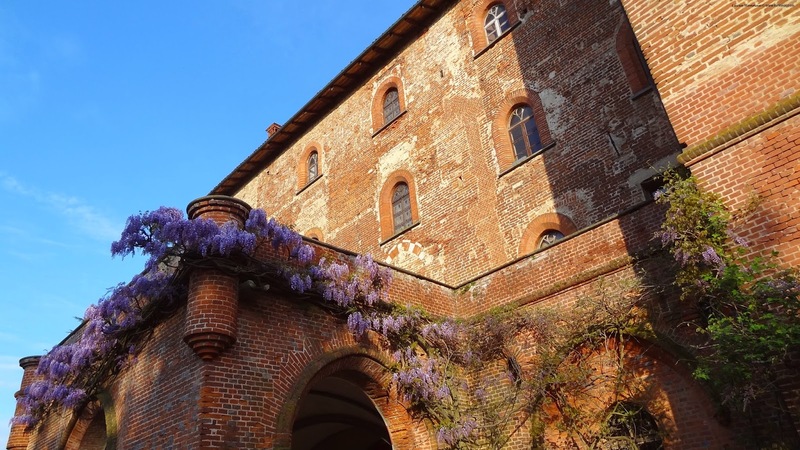 We met and spoke to the Countess Consolata di Pralormo who gave us an overview of her home - the castle, and who explained us how each year during the Messer Tulipano exhibit there's always another exhibit dealing with food and plants, in the orangery. For example, last year they displayed "table gardens" or centerpieces made of fruit, vegetables and flowers that literally looked like gardens on a table. Like in a fairy tale, the Countess of Pralormo showed her fashion sense and a true passion for nature, country life and food, through her impeccable attire and accessory choice. 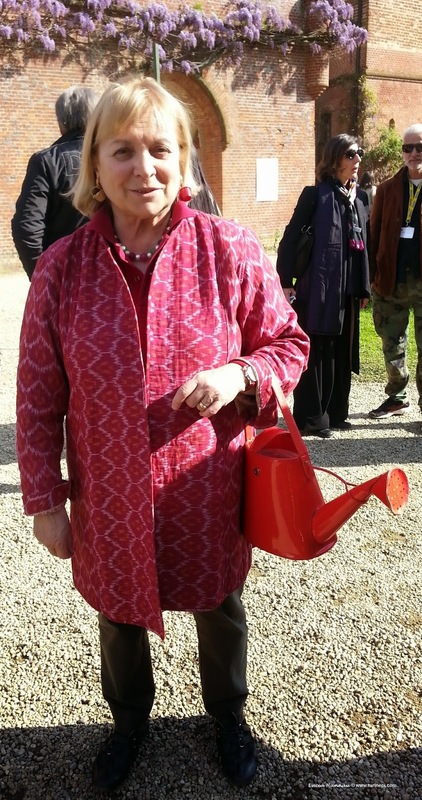 In fact, she was carrying a unique purse shaped like a red watering can and a tiny wood basket (for the flowers) and red metal bucket attached to her earrings! Countess Consolata told us that the kitchens of the castle are too old to be used today but usually, the grange is used for food presentations and shootings as it can easily be arranged to cook. Needless to say it: we'll be back! 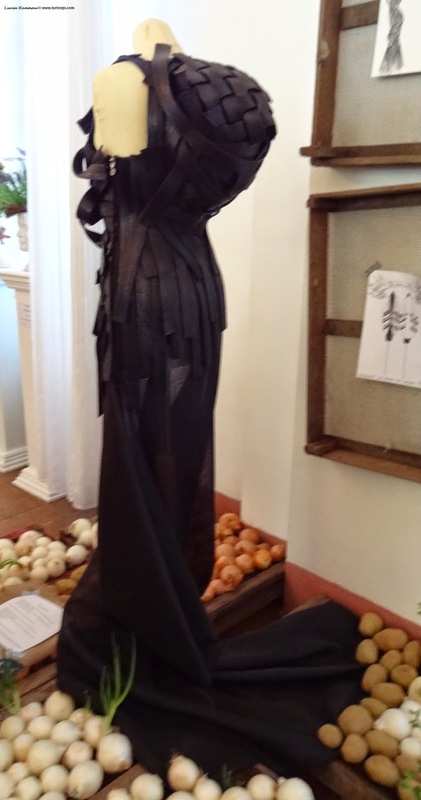 As this year exhibit was about fashion, after bidding good-bye to the Countess, we walked to the orangery to admire the food fashion display. Some Arcimboldo-like compositions welcomed us in the orangery before leaving the scene to this year's topic: food to wear. There were actually different installations: after the Arcimboldo's pictures, there were some tiny figurines depicting Italian puns or idioms based on vegetables. 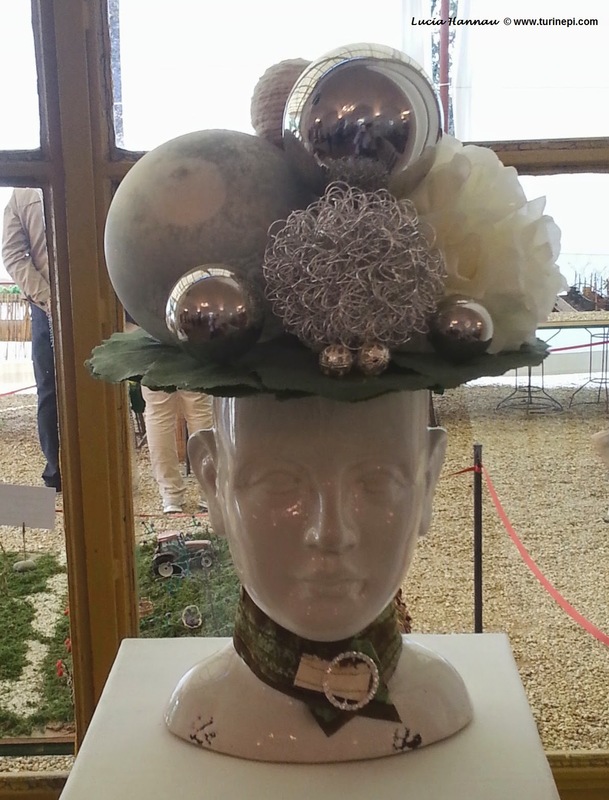 Then, Arcimboldo's mannequins opened the way to the Food & Fashion exhibit that started with Hair Flower by Franco Curletto, the fashion designers' hair stylist of choice. 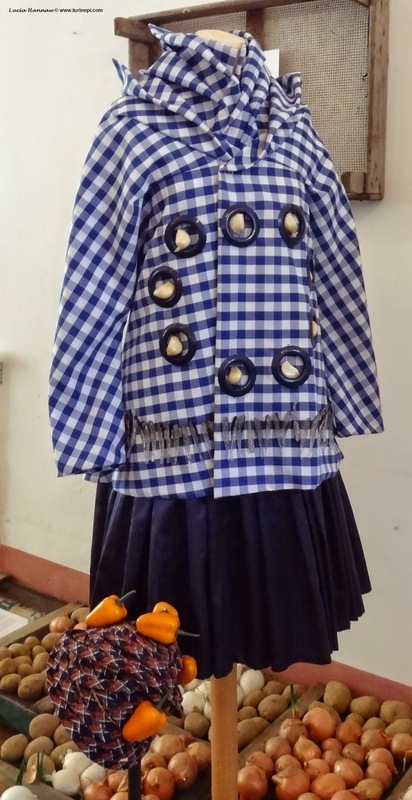 The Fashion & Food exhibit displayed 16 dresses, shoes and jewelry by 17 Turin designers who drew their inspiration from single ingredients and local recipes. 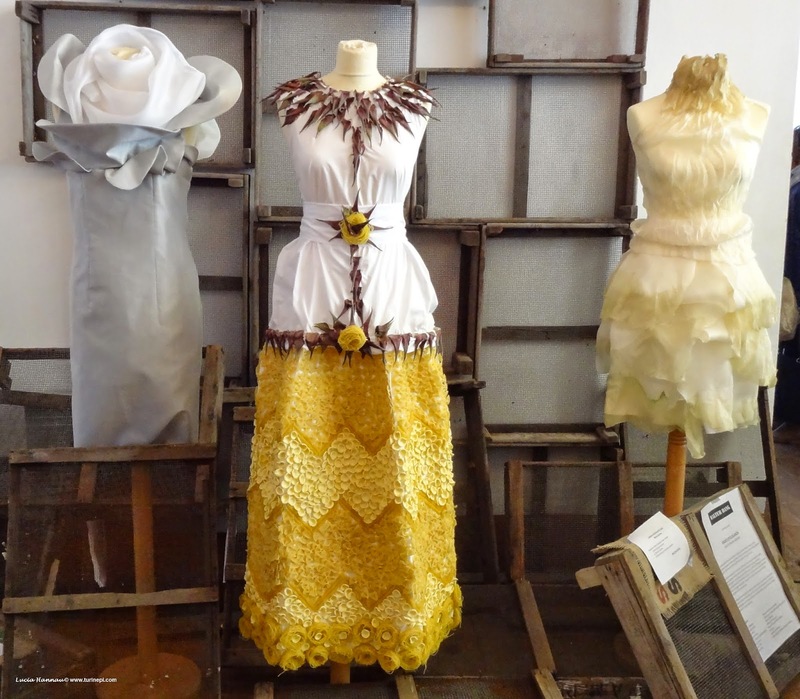 Walter Dang displayed the 3 dresses below: the pasta gown to remind us that Italian pasta is the best in the world, and when eaten with vegetables and legumes, it provides a balanced diet. Then, he had cauliflower in Bleu de Bresse sauce made of organza and custom made bamboo fabric as Walter Dang is a native of Vietnam where bamboo is part of the daily diet. Asparagus on a lettuce bed with Sicilian salt made of organza, 1kg/ 2.5lb of spinach to provide the natural die and chrystals. 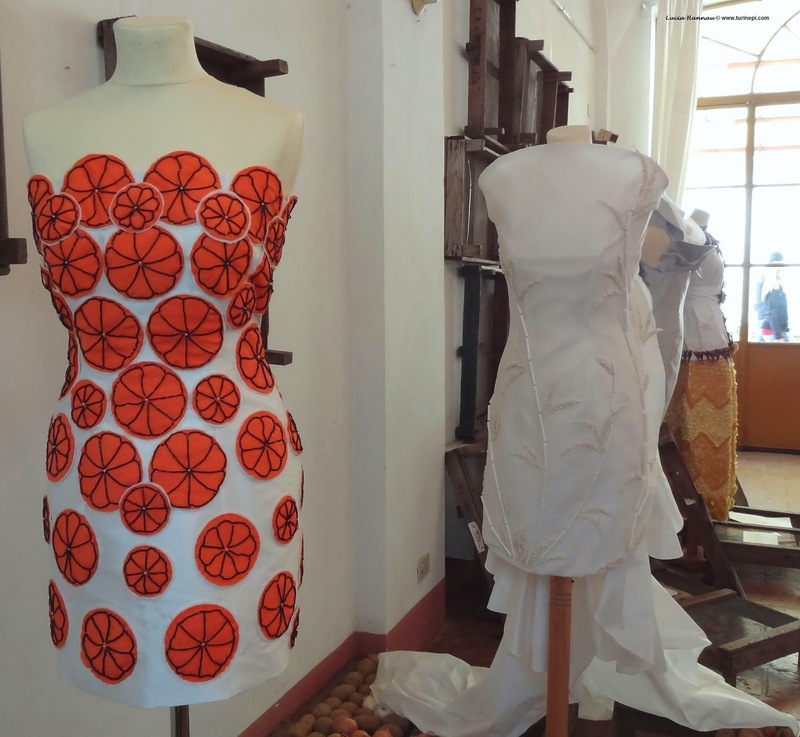 Osvaldo Montalbano shaped a dress in honor of one of his favorite dishes from the regional cuisine: Bagna Caoda and used food to emphasize how food can play a fully decorative role in fashion. Please, notice not only the garlic cloves but also the tiny anchovies. One of our favorite dresses though was the licorice one by Filomena Saltarelli. Totally made of black licorice stripes, it even had a bagpack! Chiara Balbiano made Kiba with rice, beans (on the top of the gown), Tropea red onions on the front part of the skirt and red krauts on the back. The necklace simulates the salt you need to make risotto. Rossana Dassetto Daidone of Atelier Daidone created Amel (below), a beautiful gown inspired from honey - "miele" in Italian. 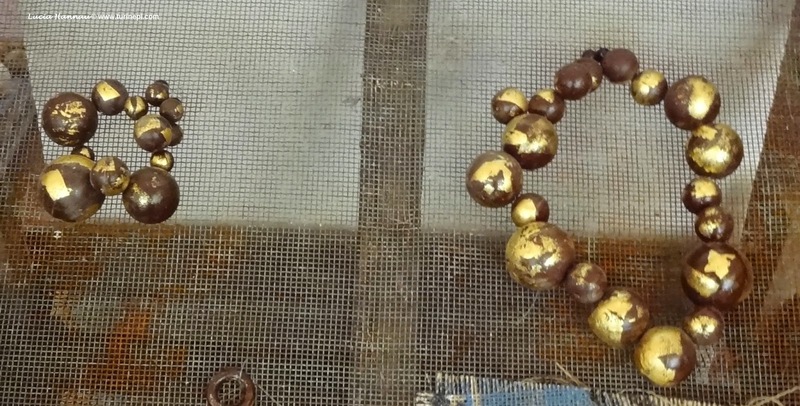 In the dress description, Rossana explained that honey is the symbol of archaic food, the sweetnees of bees' industriousness and how man and nature are intertwined and yet, today the stability of this connection is threatened. 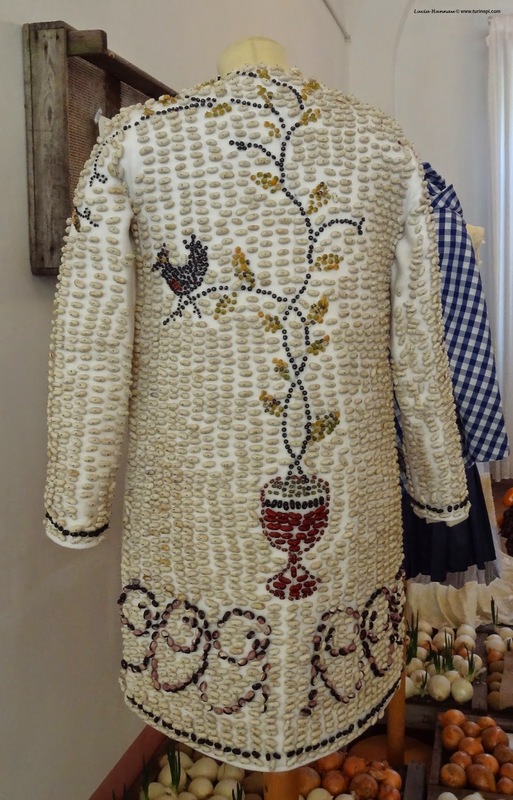 Fabrizio Picardi displayed a super stylish gown titled Rice Coulture because rice is pivotal to many diets and Piedmont is among the top world producers of rice. With this dress, Picardi wants to show the two sides of rice: basic nutrition element for many underdeveloped countries and, at the same time, symbol of wealth and elegance! 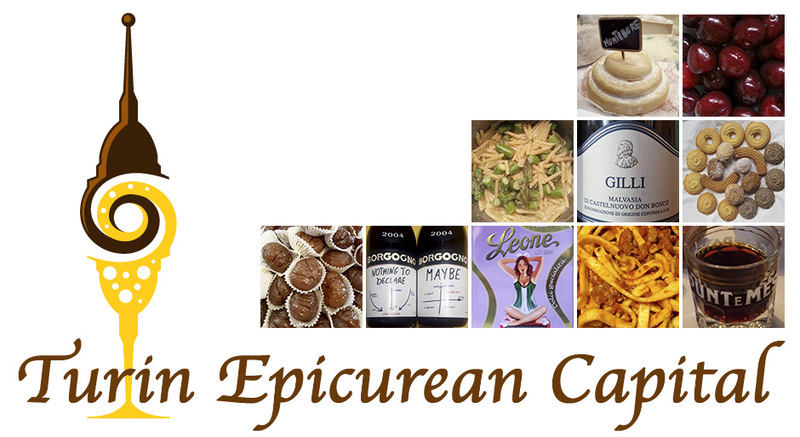 As Piedmont natives, naturally, rice and rice cultures reminds us to risotto, ricepaddies and biodiversity. As up here we say that rice is born in the water and it dies in wine - il riso nasce nell'acqua e muore nel vino - rice rhymes with wine! 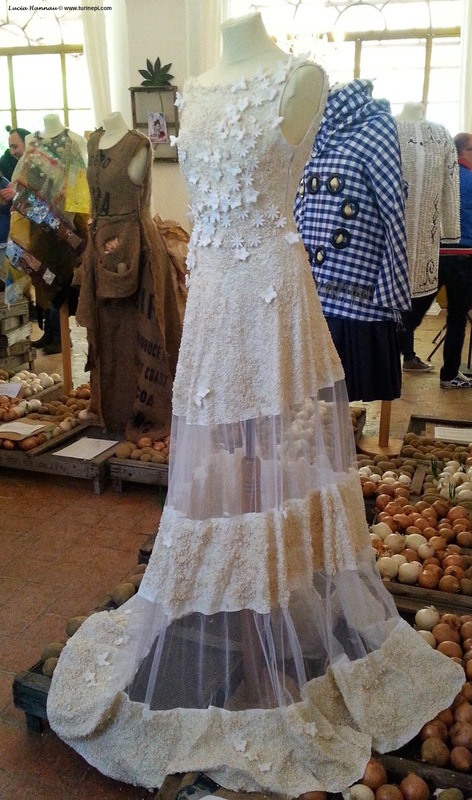 Melina di Benedetto and Maurizio Cilli designed a beautiful dress with different kinds of beans. They picked this symbolic legume for its rich nutrients and magic power; in fact, dry beans come back to life after soaking in water. The back of the dress shows Jack's Beanstalk. Orfane30 followed their mission with their wedding cake dress. Their fashion style involves all the senses and this gorgeous dress made of Arborio rice and fondant has also an amazing scent! 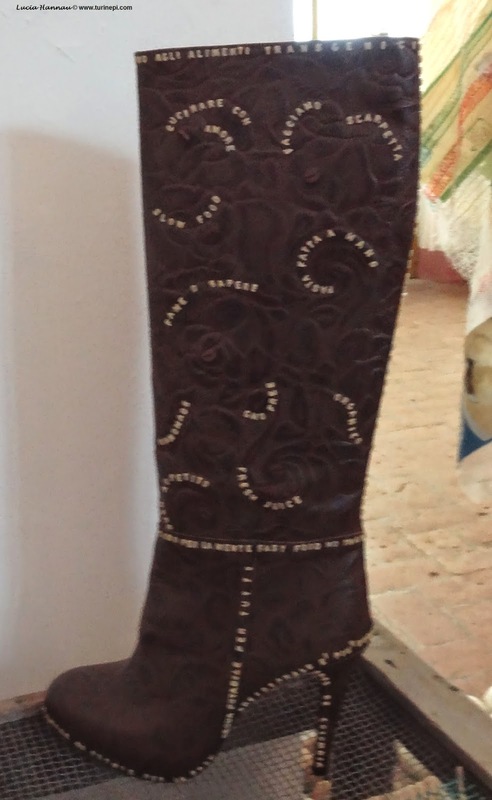 MH Design by Marina Nekhaeva made a dress out of the cocoa pod sacks (cocoa dress). Ninfee by Susanna Flecchia presented Pommes de terre a dress made out of potato sacks to emphasize the connection between the labor and the consumption related to food. 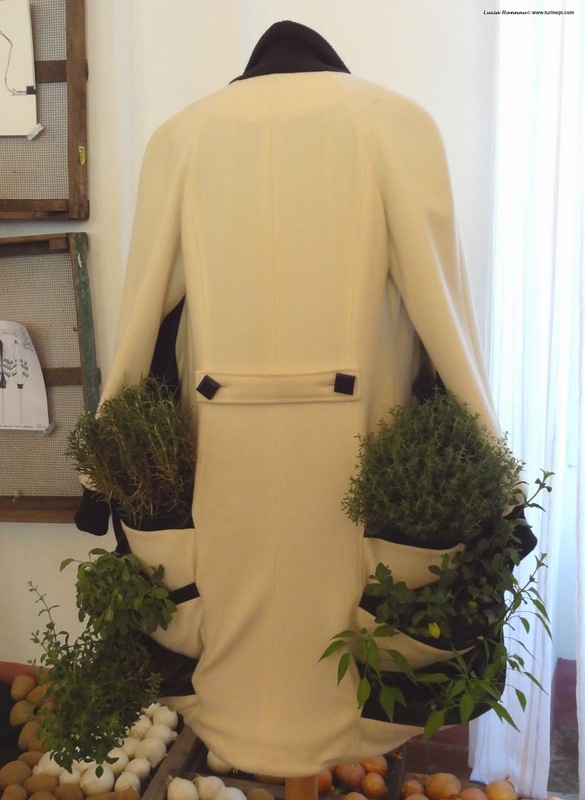 ASG - Antonino Salemi Garigliano decided to make of his dress a greenhouse, designing a coat with side pockets, conceived specifically for olive trees to grow and root themselves, like in a vertical wood or urban garden. Nowadays, sustainability and biodiversity are key words and fashion - food - art - architecture best represent the Italian style. Here, we have a small herb garden in the pockets! Jewelry and shoes couldn't certainly miss so Manuela Gomez presented her boots with poems of pasta letters and a bowtie covered shoe. Barbara Uderzo contributed her scrumptious Bijoux-chocolat. These edible jewels are explicitly made to be give as a gift of love and affection and to melt on the skin... They are made of hollow dark chocolate spheres covered in edible gold. As light as a tulip petal, Ombra di Foglia by Elena Pignata presented precious food: a dress made of pure silk decorated with small seeds, beans, nuts, lentils and goji berries. 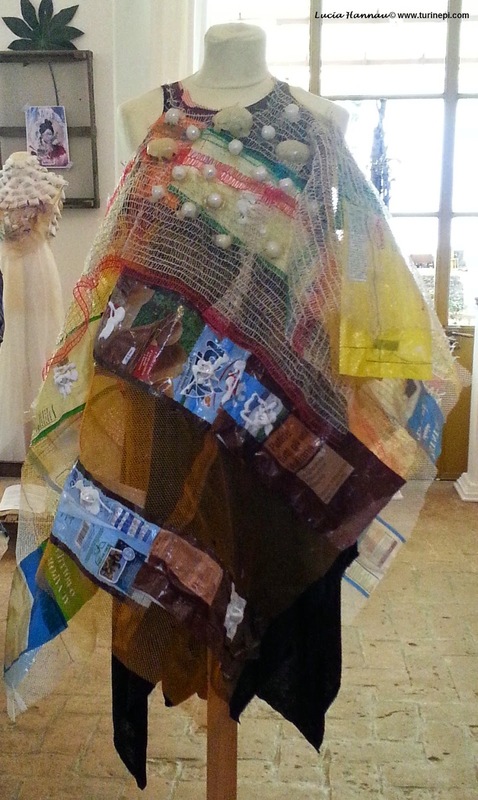 An elegant gorget of tea bags completes this dress. Each tea bag has been deprived of the tea to be filled with spices to provide new color shades and to appeal to the sense of smell too. On the back, curry and paprika dripped on the back till leaving the natural color of the light silk out. Dress after dress, exhibit after exhibit you loose the sense of time and float around the Pralormo castle like a butterfly. Time takes a different dimension when you cross this 1600 castle and you let the colors of the tulips guide you around. So, mark it down for your next visit to Piedmont, being it in the Fall, for some wine and truffle tasting, or in the Spring for the customary tulip exhibit! Definitely, Pralormo will stay in your hearts!